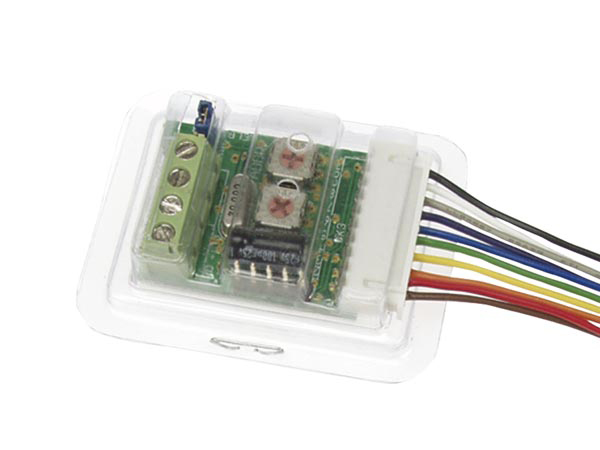 The Velbus VMB8PB can be used to connect up to 8 push buttons to the Velbus Home Automation System. Push button reaction time is selectable between 65ms, 1s, 2s and 3s. It is also possible to place an LED indicator in parallel with the push button.